This item will ship on 07/30/2019. The heartwarming, dramatic story of Network For Teaching Entrepreneurship (NFTE) founder and CEO Steve Mariotti’s mission to make a difference in the lives of low-income youth by unlocking their entrepreneurial creativity to create pathways out of poverty. One sunny afternoon in 1982, a young businessman experienced a terrifying mugging in New York City that shook him to his core. Tortured by nightmares about the teens who roughed him up, Steve Mariotti sought counseling. When his therapist suggested that he face his fears, Mariotti closed his small import-export business and became a teacher at the city’s most notorious public school–Boys and Girls High in Bed-Stuy. Although his nightmares promptly ceased, Mariotti’s out-of-control students rapidly drove him to despair. One day, Mariotti stepped out of the classroom so his students wouldn’t see him cry. In a desperate move to save his job, he took off his watch and marched back in with an impromptu sales pitch for it. To his astonishment, his students were riveted. He was able to successfully lead a math lesson for the first time. Mariotti realized his students felt trapped in soul-crushing poverty. They saw zero connection between school and improving their lives. Whenever Mariotti connected their lessons to entrepreneurship, though, even his most disruptive students got excited about learning. School administrators disapproved of Mariotti discussing money in the classroom, however. He was repeatedly fired before receiving one last-ditch assignment: an offsite program for special-ed students expelled from the public schools for violent crimes. The success Mariotti had with these forgotten children—including coverage in the Daily News, The New York Times, and World News Tonight—inspired him to found the nonprofit Network for Teaching Entrepreneurship to bring entrepreneurship education to low-income youth. 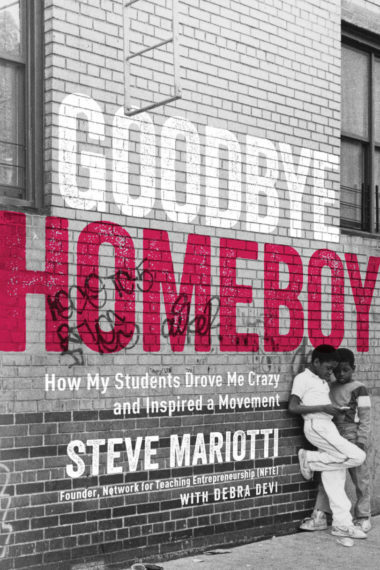 By turns tragic and hilarious, Goodbye Homeboy shares Mariotti’s flaws and missteps as he connects deeply with his troubled students, and woos the most influential people in the world into helping them—saving himself in the process. Today, Mariotti is widely recognized as the world’s leading advocate for entrepreneurship education. More than one million young people from Chicago to China have graduated from NFTE programs, and NFTE counts Sean Combs, Chelsea Clinton, billionaire Diana Davis Spencer and many more business, entertainment and community leaders among its staunchest supporters. As Goodbye Homeboy powerfully illustrates, a spark of hope really can empower us to overcome life’s greatest hardships. A portion of the Steve Mariotti’s royalties will be donated to NFTE (Network for Teaching Entrepreneurship) and Experience Counts. 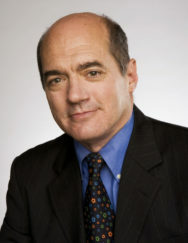 Steve Mariotti is the founder and former president of the Network for Teaching Entrepreneurship (NFTE), and an advocate for entrepreneurs worldwide. His previous books include the Young Entrepreneur’s Guide to Starting and Running a Business and An Entrepreneur’s Manifesto, which makes a convincing case for the power of entrepreneurship education to combat poverty, terrorism and totalitarianism. Mariotti is also the author of award-winning junior, high-school and college textbooks on entrepreneurship and small business management. He is a popular Huffington Post blogger. In 1982, Mariotti left a successful business career to become a public high-school teacher in tough New York City neighborhoods like East New York, Bed-Study, and Fort Apache in the South Bronx. Frustrated at first by his rowdy classrooms, Mariotti discovered he could motivate even his most challenging students by teaching them how to run a small business. This experience inspired him to create NFTE in 1987 to bring entrepreneurship education to low-income youth, and empower them to create pathways out of poverty. Today, NFTE is widely considered the leading provider of entrepreneurship education to low-income youth worldwide. Debra Devi is an award-winning author, journalist and musician based in Jersey City NJ. She has co-authored numerous books with Steve Mariotti, including The Young Entrepreneur’s Guide to Starting a Business, How to Start and Operate a Small Business, winner of the Golden Lamp Award for excellence in educational publishing, and An Entrepreneur’s Manifesto. Devi’s book The Language of the Blues: From Alcorub to Zuzu (foreword by Dr. John) received the ASCAP Deems Taylor Award. As a journalist, Devi has written for Investor’s Daily, American Banker, Crain’s New York, The Village Voice, RollingStone.com, Guitar World and more. An accomplished guitarist and singer, Devi performs internationally and received a proclamation from Jersey City for her contribution to the arts.